What is skin needling and how does it work? Skin needling is also called micro-needling therapy or collagen induction therapy. It is a minimally- invasive non-surgical and nonablative procedure for facial rejuvenation that involves the use of a micro- needling device to create controlled skin injury. As each fine needle punctures the skin, it creates a channel or micro-wound. The controlled injury triggers the body to fill these micro-wounds by producing new collagen and elastin in the papillary dermis. In addition, new capillaries are formed. This neovascularization and neocollagenases following treatment leads to reduction of scars and skin rejuvenation, i.e., improved skin texture, firmness and hydration. There are various skin needling devices including Dermaroller® (Dermaroller GmbH); DermapenTM (Equipmed Pty Ltd; Australia) Derma-StampsTM (Dermaroller USA) and radial discs incorporating fine microneedles of various diameter and length, fabricated from a wide range of materials such as silicon, glass, metals, and polymers. The needles are up to 3 mm in length. Professional skin needling is considered to be one of the safest skin treatment procedures. Unlikechemical peels, dermabrasion and laser treatments, skin needling causes minimal damage to the skin. Reduced risk of hyperpigmentation and scarring therefore safe on ethnic or dark skin. 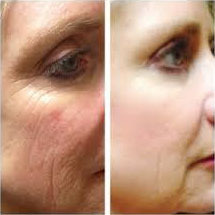 It is cost-effective, and can be done on areas of skin not suitable for peeling or laser resurfacing, such as near eyes. As opposed to ablative laser resurfacing, the epidermis remains intact and is not damaged. For this reason, the operation can be safely repeated if needed. Treatment does not result in a line of demarcation between treated and untreated skin, as usually occurs with other resurfacing procedures. This allows for specific areas of scarring to be treated without the need to “blend” or “feather” at the treatment edges. The patient can resume regular activities within a few days, depending on the depth of penetration of the needles. Treatment options like laser resurfacing or Dermabrasion are often associated with considerable morbidity and downtime from daily activities of the patient in the post-treatment period. The procedure is well tolerated. It takes a few minutes up to an hour to complete, depending on the area to be treated and the severity of the problem. No lotions, makeup or other topical products are applied on the treatment area on the day of the procedure. The medical professional then applies a numbing cream (topical) on the treatment area or injects local anesthetic. The skin is punctured in a specific pattern using a skin needling device. The device is rolled over the skin multiple times for best results. As each fine needle punctures the skin, it creates a channel or micro-wound stimulating skin cell regeneration. Depending on the condition treated it may take 5-60 minutes to complete the procedure. A minimum of six weeks is recommended between two treatments as it takes that long for new natural collagen to form. Skin needling is well tolerated by patients but dryness, scaling, redness and swelling may be seen after treatment, lasting for several days or longer, depending on the depth of penetration of the needles. Sun protection for several weeks is recommended. In the case of acne scars, after the skin needling procedure, the face should be cleaned with a gentle cleanser before bed. The next day, the face may be cleansed and makeup, lotions and other topical products applied as usual. As the microholes close quickly, postoperative wound infection is rare. Emollients or antibiotic creams may be prescribed, if considered necessary. 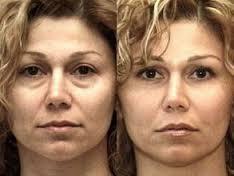 Rejuvenation of skin may be seen as soon as 2 weeks and as long as 6-8 months after the medical procedure. Burn scars are slow to respond. It can take up to 6 months to 1 year to see the final results from a single treatment. How many skin needling procedures does one need? The number of needling procedures depends on the individual skin condition. Three to four treatments may be needed for moderate acne scars. Scars from Thermal burns and stretch marks (striae) may require up to 5 procedures. In the case of wrinkles associated with ageing skin, one or two refresher skin needling treatments are recommended every year. Are there any side effects from skin needling? 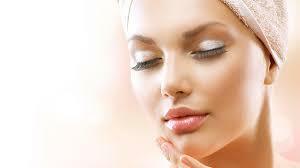 Generally the treated areas recover rapidly from skin needling. Oozing and swelling during the recovery phase. Skin infection with bacteria (rare) or herpes simplex virus (cold sores). Milia, which can be easily removed. Acne flare, which is usually mild.